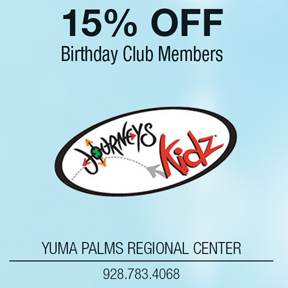 Journey's Kidz - 15% OFF Birthday Club Members! - Yuma Palms Regional Center – Yuma, Arizona | Welcome To Yuma Palms!Yuma Palms Regional Center – Yuma, Arizona | Welcome To Yuma Palms! Journey’s Kidz – 15% OFF Birthday Club Members!